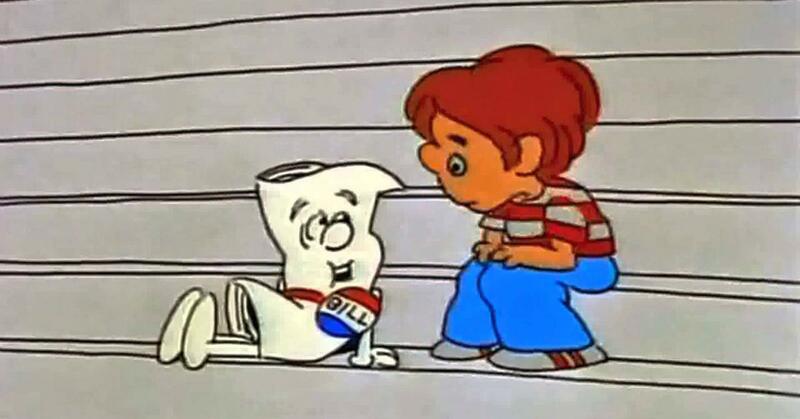 If you've ever watched Schoolhouse Rock growing up, there's probably two things you remember about the show. One, the animation was just downright awful, but still somehow charming in a '70s kinda way. Two, you definitely recall the "I'm just a Bill" song. It was the iconic segment that pretty much every teacher made students watch. Even in high school when you started American Government, you'd get yet another dose from our favorite droopy eyed bill. Needless to say the bit is a staple for most youth who've grown up in America the last 50 years. This droopy-eyed, chilled-out piece of paper gave students a rundown of the United States Legislative system in probably the most effective educational song to date. Not only is it catch, it's super informative. Pretty much everyone can remember at least bits of it, in fact you've probably already got the song stuck in your head. And it's nice to see that his message is being remembered by not only adults who were subjected to Schoolhouse Rock, but the children of those adults who had no say in their Halloween costumes. But when you get a costume as cute and location appropriate as this one as a result, can you really justify complaining about it? There was a Halloween party held for kids in the Senate and one person got all gussied up as "Bill" from the classic episode. There probably wasn't a more fitting outfit on the floor. People obviously took their get-up. So much win! Sing along, everybody! Some wanted to know why the little bill didn't go all the way with their costume. While others made legislative jokes. Others thought that his presence might finally spur the senate into actually passing a law, instead of, you know, removing previous ones.